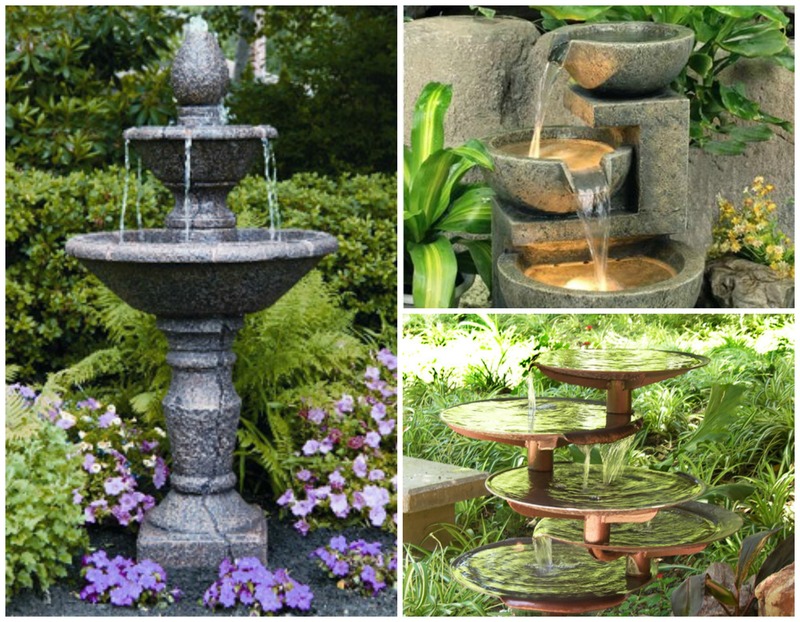 Fountains are certainly desirable detail in every backyard, which will bring a bit of nature in your home. 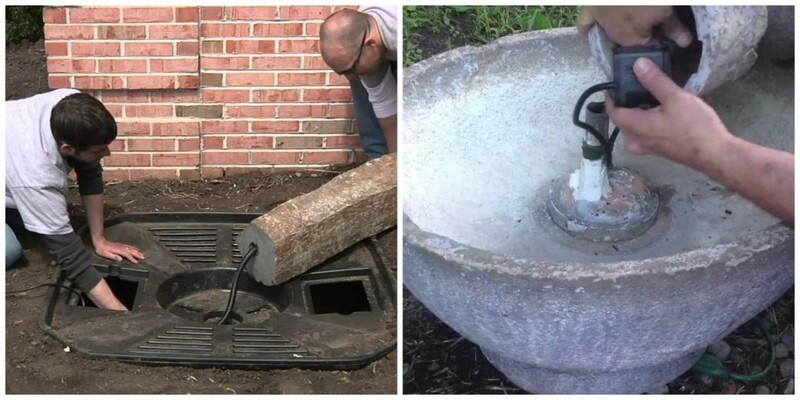 Even a small fountain will refresh any garden and yard. Fountain can be centrepiece of your garden around which you can place other details – flower pots, benches, garden furniture… Setting up a fountain is not as hard as you think. When you decide to set up a fountain, you must keep in mind that it fits the yard. 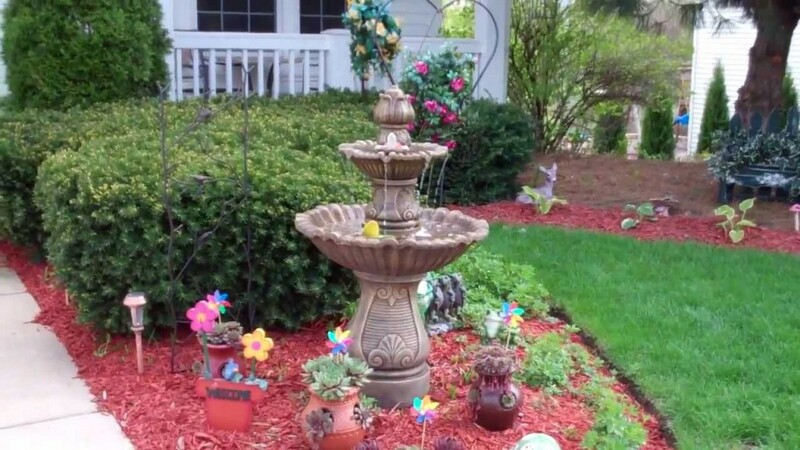 If your garden is too small, choose one of the popular and decorative mini fountains. Fountain should follow the style of your yard, which will not be difficult bearing in mind the great variety of materials that fountains are made of and their different styles. The most common style of the fountain is the multi level style where water falls from the upper to the lower levels. They are ideal for larger yards. Water is flowing into an artificial lake and can “rise” from stone or stylized jars. Interesting choice can be a water wall, as a special type of fountain it can be made in different sizes to fit even in the smallest space. Proper site selection is the second (important) step in the process of setting up the fountains. It is necessary to choose shady place in the yard where you love to spend moments of relaxation. It is desirable that the pond is not excessively exposed to the sun so as to prevent excessive development of algae and disorders of the natural balance in the water. For starters, mark the part of the field in the form and dimensions of how you want your pond or fountain to look. When you finish that, start digging. Pond should be deeper in the central area and the depth should gradually decrease as it goes toward the edges of the pond. Once you’re done with digging, lay a water-repellent fabric on the bottom of the hole and than you can start decorating your future fountain. Decorate it with the stones placed on the foil freely. In case that you are building a stream at the central part of the stream set the stone slabs so the water can gently flow over them. Finally, when you set up your pond, you can start with the installation of pumps and related equipment. There are a lot of types of water pumps on the market, so you will not have a problem choosing the right one for you. Select nozzle for your fountain in accordance with its size and the right pump so that the water jet is aligned with the shape and size of the lake. In case that you need any help, contact services who deal with domestic plumbing in your area. According to your wishes, you can set the underwater light to give your fountain an extra charm in the evening. If you decide to have fish in your fountain, we recommend you to install the appropriate equipment for water treatment and bio-filters with or without UV lamps which achieve a completely natural process of water purification. In case that your pond has no fish in it, water can be treated with appropriate chemicals for water treatment algaecide, flocculants, chlorine tablets, etc. Installation of the fountain and its maintenance requires minimal attention and money. It will last for years, and will give to your garden elegant and soothing effect.